Built in 1966, by Albina Machine and Engine Works of Portland, Oregon (hull #388) as the Delores Foss for the Foss Launch and Tug Company of Tacoma, Washington. 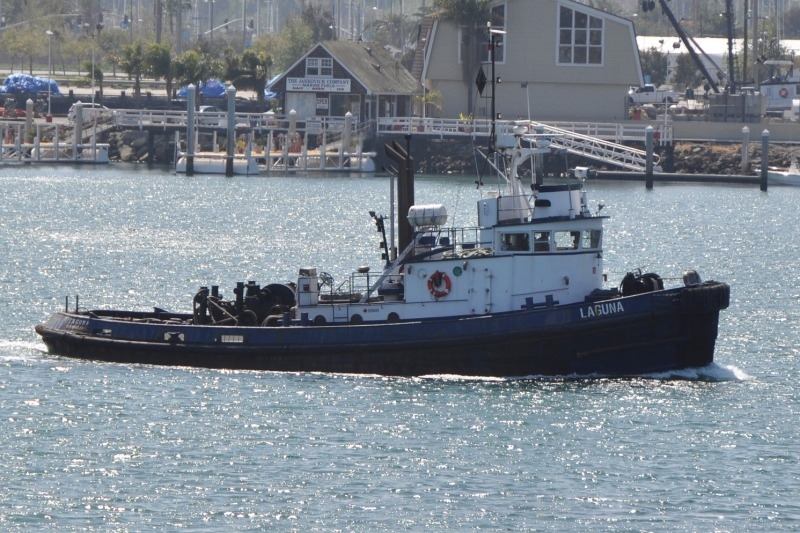 In 1980, she was acquired by Sause Brothers Ocean Towing Company of Portland, Oregon. Where she was renamed as the Powhatan. In 1994, the Sause Brothers Ocean Towing Company renamed the tug as the Kahu. In 2004, the Sause Brothers Ocean Towing Company renamed the tug as the Laguna. In 2010, she was acquired by Maxum Petroleum of Rancho Dominguez, California. Where the tug retained her name.